Mini Cooper Open Top – for higher speed work / Plate Background Shot Work. It is compact, maneuverable, with superb handling and features high acceleration and deceleration, ideally suited for Tracking Pursuit shots, 360-degree plate shots with (Cut Down Windscreen), Circuit or Higher Speed Camera Tracking work. 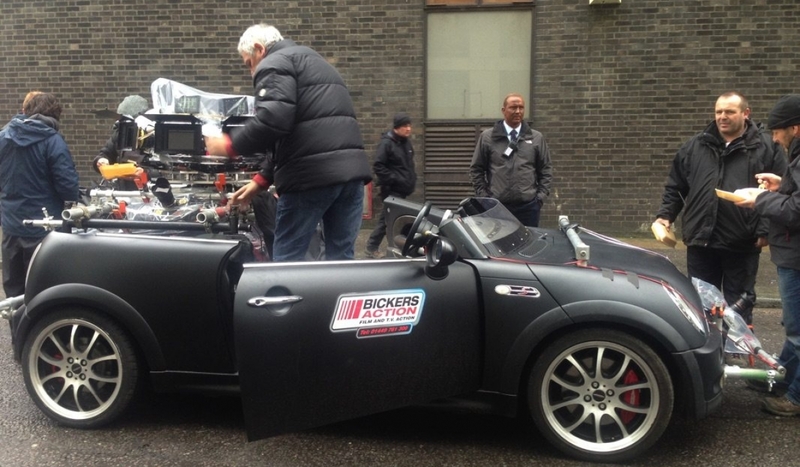 It is fitted with Scaffold Rigging Points, Front, Rear, Sides and Roll Cage for quick and easy camera rigging. 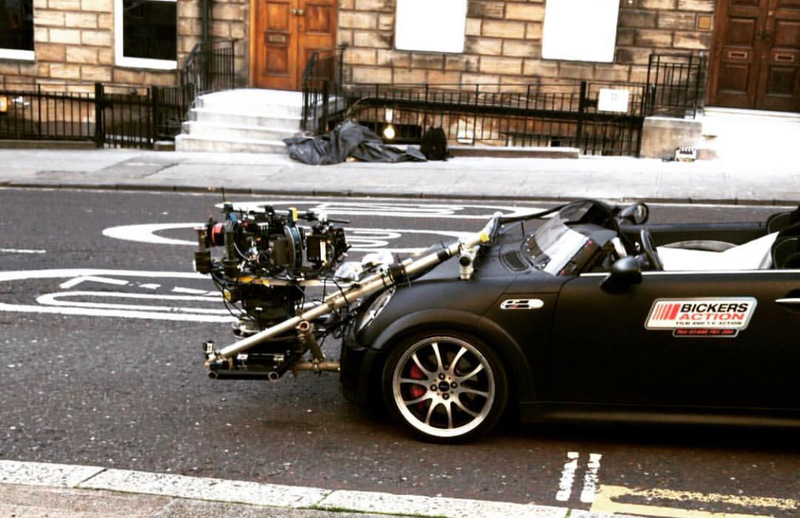 Cameras and Remote heads can be mounted anywhere on the Mini Cooper with ease. 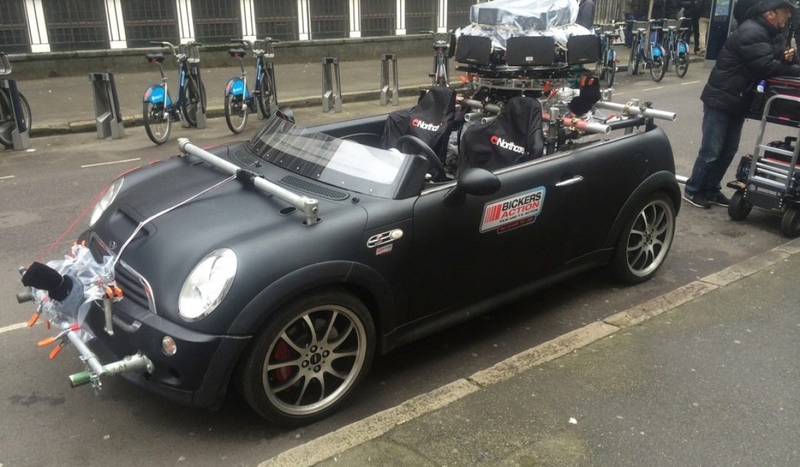 All crew are carried within the car (Driver plus 3 Crew Max), the interior of the car is also fitted with various scaffold rigging points to accommodate remote head controls and monitors. We can supply Remote Head Mounts, these can be supplied at various heights and are adjustable for fixed positions.